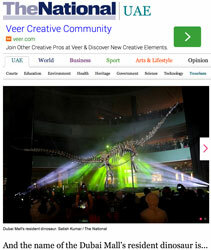 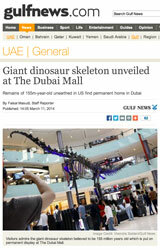 Amphicoelias Brontodiplodocus unveiled at The Dubai Mall | Maxilla & Mandible, Ltd.
On March 10th, 2014, The Dubai Mall revealed the magnificent Amphicoelias Brontodiplodocus, Sleeping Beauty, as their newest permanent attraction. 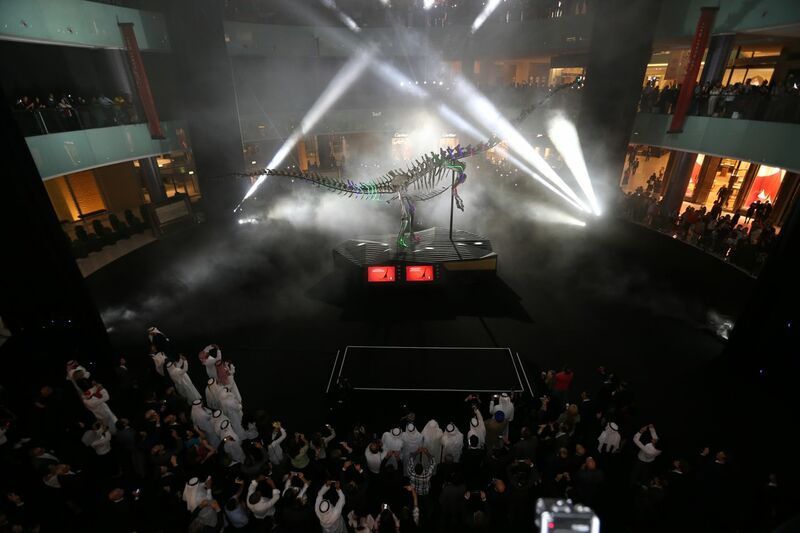 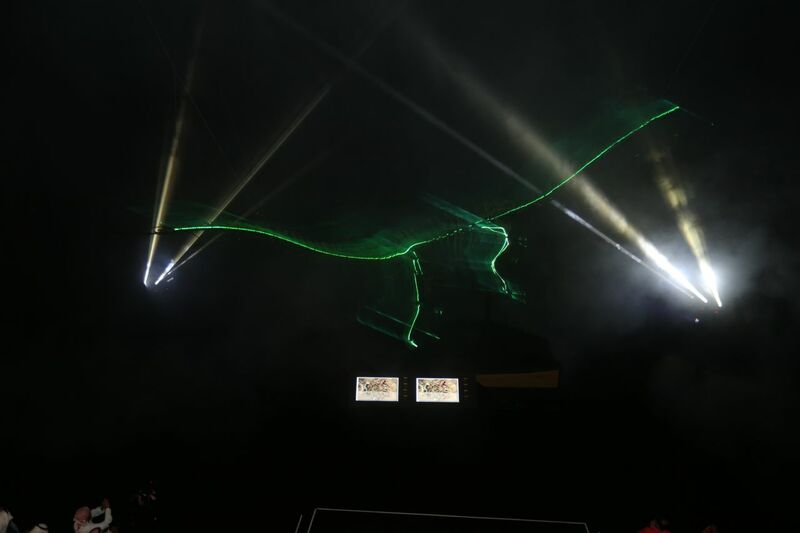 The unveiling ceremony was an elaborate, spectacular show with many onlookers and concluded with an engaging renaming contest to further connect visitors to their new local resident. 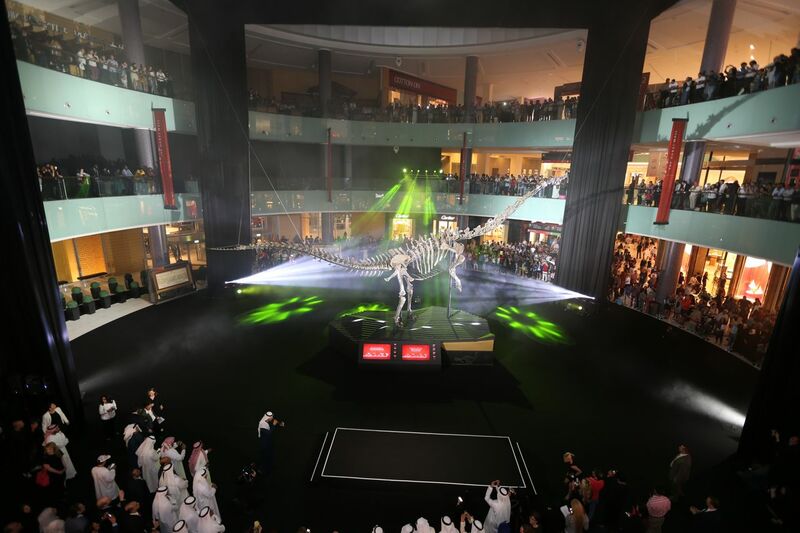 Sleeping Beauty’s new home holds the title for the world’s most-visited shopping and leisure destination, attracting more than 65 million visitors. 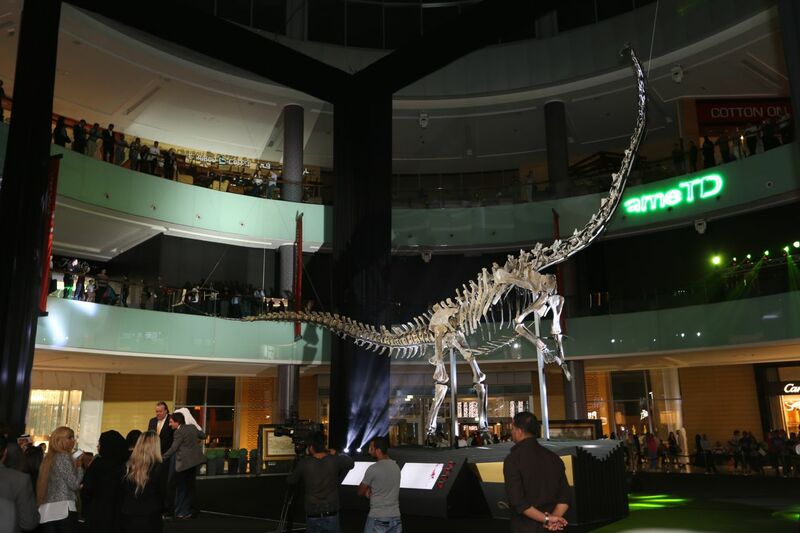 This public exposure to authentic dinosaur fossils even exceeds the most visited natural history museums globally, including the Smithsonian. 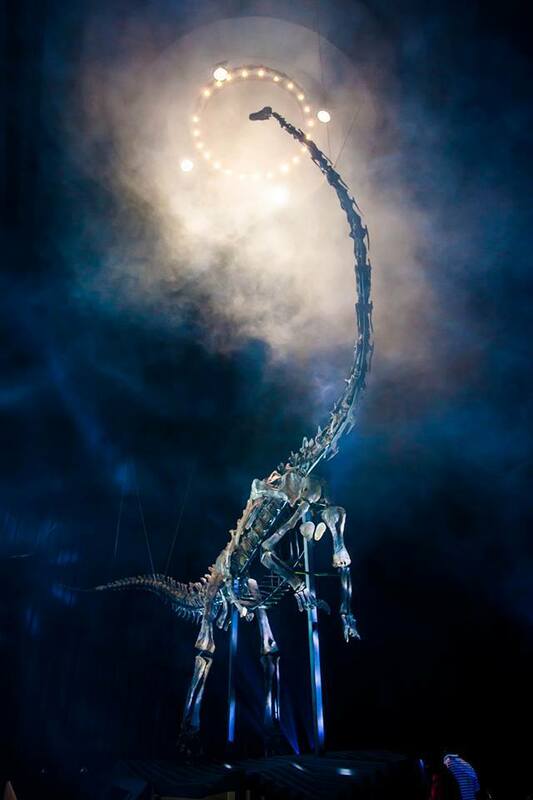 Displayed in the Grand Atrium, the exhibit includes the first sauropod skeleton comprised of actual fossil bone mounted in an upright position, detailed interactive displays, and a trained staff to inform visitors on the discovery of the fossil, the process in reconstructing the skeleton, and the creation of the unprecedented mount position. 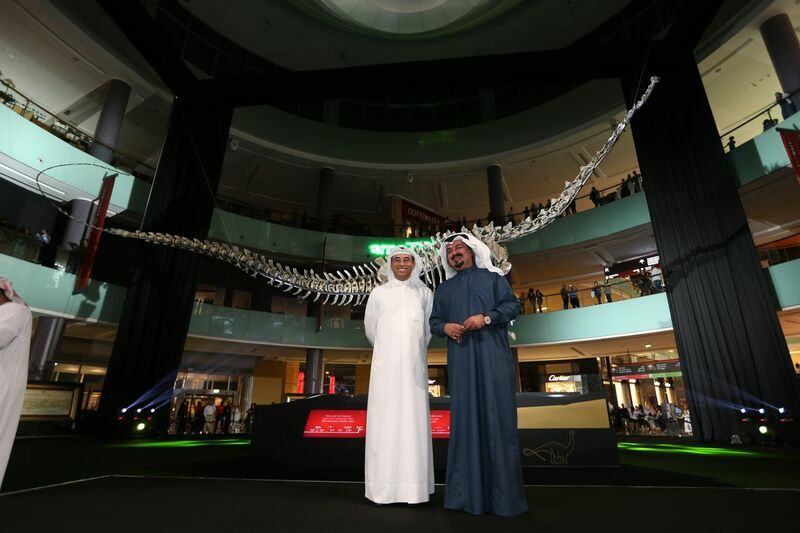 Numerous visitors to this Middle Eastern mall may never have seen a dinosaur fossil making this exhibition a significant educational contribution to the region and the world. 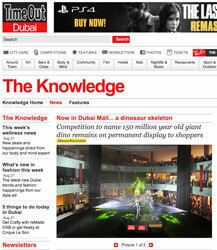 We are pleased that Sleeping Beauty will have a permanent home for the world to enjoy and look forward to her new name. 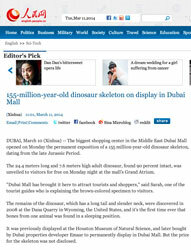 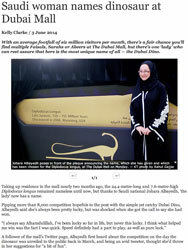 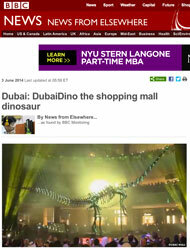 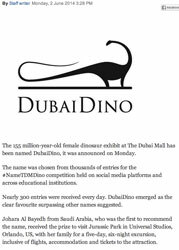 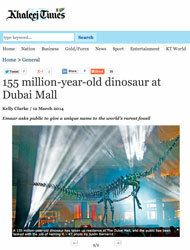 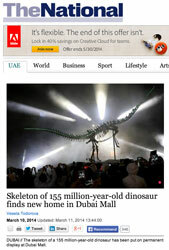 UPDATE: The Dubai Mall has announced DubaiDino as the winning name for their social media based contest. 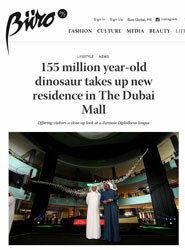 We are happy to see DubaiDino (Sleep Beauty) in a permanent home. 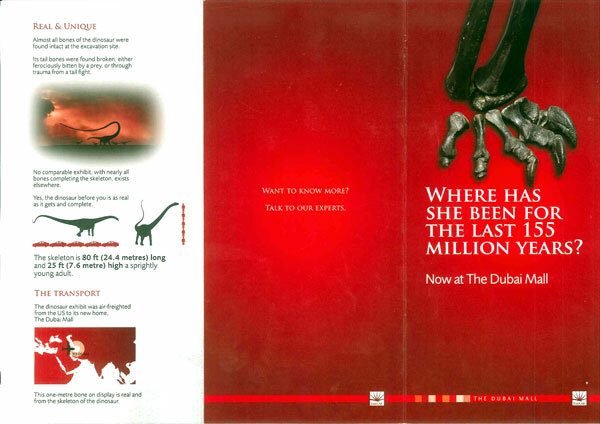 For information of other similar specimens, check out the original brochure.